Heat oil in a medium saucepan and saute the garlic and onion for 2 to 3 minutes. Add the celery and saute 2 minutes. Add the Edensoy, water, sea salt, sage, thyme, rosemary, and black pepper. Bring to almost to a boil. Whisk in the polenta. Bring almost to a boil again, reduce heat, and simmer for 15 to 20 minutes. Remove from heat and serve with sunflower seeds and parsley garnish. Great for breakfast, lunch, dinner or use to stuff squash. 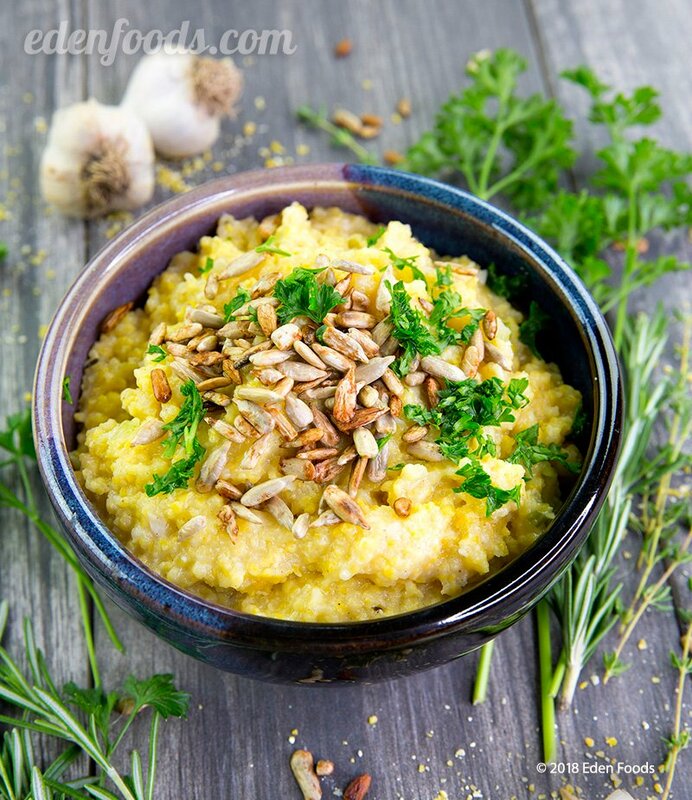 See Eden's recipe Baked Acorn Squash with Polenta.